Milestone’s latest webinar on February 15 was all about SoLoMo (Social, Local, Mobile) marketing. We had a great turnout and several thoughtful questions were asked during the webinar. The questions and answers are listed below. If you have any additional questions, please feel free to ask in the comments and we’ll get you a response asap! What Paid Search topic would you like to learn about in our next webinar? View more presentations from Milestone Internet Marketing. What is the best level of social media development when you have limited time and staff to maintain it? Invest time in creating a calendar about events and things happening in your area. This time spent on creating an event calendar can go a long way. You can then interact and engage with customers even when you have limited time and staff based on the pre-planned events calendar. Furthermore, you may want to consider a Milestone managed Social Media Graviti Plan. Google+ vs. Google Places: What is the difference and why do you need both? Google + is a social media platform launched by Google where you can create a personal profile and add people in your circles or even create a business page to promote your business. Compared to businesses that don’t have Google+ profiles set up, the one’s that do have a higher visibility and that impacts search results positively. You can read more about Google+ on our blog post. What are your thoughts on Bing Maps that Facebook uses, instead of Google maps? 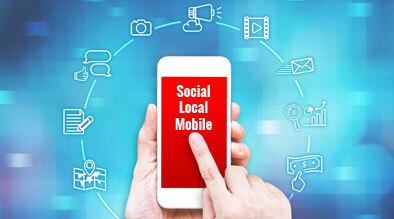 It is definitely important to have a presence on both channels, especially due to Facebook integrating with Bing Maps and Google Places being a large factor in local results in Google’s search engine result pages. It’s not so much an either/or questions, as it is crucial to be present on both channels so no matter what search engine your consumers are using they can easily find your local profile. How do you Geo-tag an image and where do you go to do it? Most photo and video sites give you the option to add tags when you upload a photo or a video. YouTube, for example, gives you the option to add tags in the video information section when you upload the video to your account. This is where you can add very well optimized keywords to make it easier for consumers to find your video. Flickr is similar, in that when you upload an image to your account, it will ask you if you would like to add a description. If you click to add information it will allow you to add up to 75 tags per photo that are very valuable in helping your consumer find the image when searching. In addition to these keyword tags, YouTube, Flickr (and some other channels) have a section that allows you to tag a specific geographic address to the photo or video. This must be done through the individual channel itself. As we mentioned during the webinar, ensure you are using optimized geo-location tags that you are also targeting organically and are highly visible for. This solidifies the cross optimization idea of using the same keywords across each channel that are working well for your property. Our articles on online videos and image optimization provide further details. In terms of photo titles, should we be listing the hotel name and city along with the one/two word description of the photo? When labeling photos should you place spaces or hyphens in between words? Yes! As a best practice we recommend having the geo-location term (city, state) the hotel name, and then the descriptive text. Example: San Francisco California Hotel Hilton Lobby. Hyphens are great to use, spaces work as well. How do you fix incorrect map listings? If you see an incorrect map listing, you want to first of all get access to the back-end by claiming that listing as an owner. Once Google checks that you are in fact the owner of the listing they will provide you access to the back-end where you can go and edit the information as well as enhance your listing. You can read more about the dos and don’ts of optimizing local listings. Are you offering to set up the Foursquare business page for existing clients? Yes. Foursquare Business Pages are included in some of our GravitiTM Social Media Marketing plans and they are also available a la carte. Click here for additional Foursquare Business Page information. What do you think about Pinterest? Pinterest is a rising star in popularity among social media sites. Pinterest lets you organize and share images you find on the web and it is definitely a channel you can get involved in to reach a large consumer base (11 million visitors weekly and growing). Pinterest highlights to the importance of optimizing and correctly tagging your images across the web, and also offers a badge you can add on your website to increase followers on your Pinterest profile. If you have a lot of great images of your property, it could definitely be a great channel to make use of! How do you increase Google reviews? We send a ‘thank you’ with both trip advisor and Google places; we receive hundreds of TA reviews and only 9 on Google. QR codes are a great way to lead offline users and bring them online to any desired page to leave a review. Place these QR codes at checkout or in the lobby and on any receipts you may give to your guests. You can put a short URL of you places listing and send that with the post-visit satisfaction surveys or even in your email signatures to drive traffic to the Places page. Request reviews on your website and place links to different review sites from your website’s guest reviews page encouraging guests reading and writing reviews. Make sure your front desk proactively asks guests to leave reviews on Google Places as guests are leaving. Also Milestone offers a great online reputation management system that provides an integrated single interface for hotels and resorts to monitor reviews and social media buzz and to interact with the consumers. The tool focuses on driving actions to enhance profitability from review sites and social media channels. To learn more check out the website for eBuzz ConnectTM. Thanks again to all our attendees. We look forward to seeing you in our future webinars. Tks a lot for your webinar ! Please, Are the slides available somewhere ? Thank you! The slides are now available.